The U.S. Department of Labor recently issued its long-awaited replacement of the overtime rule issued by the Obama administration, which was blocked by a federal judge in Texas shortly before going into effect. 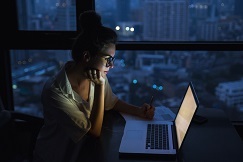 The new rule, which is expected to go into effect in 2020, raises the minimum salary threshold required for workers to qualify for one of the Fair Labor Standards Act's overtime exemptions from $23,600 to $35,308 per year. The previous rule proposed by the Obama administration had raised the threshold to $47,476 per year. Unlike the Obama administration’s rule, there is no mechanism for automatically updating the salary threshold. Instead, the DOL proposed updating the salary levels every four years, but doing so only after notice and comment periods that precede those increases. For highly compensated employees, the DOL raised the salary threshold from $100,000 to $147,414, which potentially increases the number of high-income employees who may qualify as eligible for overtime. The new rule will allow up to 10% of certain nondiscretionary bonuses and incentive payments like commissions to count toward a worker's salary level. In addition, the DOL declined to make any changes to the duties tests. Remember, the duties tests are an important element, along with the salary basis, in evaluating whether an employee qualifies under one of the applicable overtime exemptions. If you need assistance classifying employees or have questions on how the rule impacts your business, contact a member of the Stokes Lawrence Employment group.